Celtic go into Wednesday’s Champions League away leg against Rosenborg with a 3-1 advantage. Barring any major slip-ups, a place in the Third Round against AEK Athens awaits The Hoops. It isn’t all plain sailing for Celtic though. No, no, we wouldn’t want that at such a crucial stage in our season would we? With still so many players unavailable, Brendan Rodgers is likely to go with the same team that played in Glasgow. The only thing that shoyld change is the initial setup. The manager put his hands up last week and said he got the tactics wrong. That was put right midway through the first half in that game. With fitness, injury and suspension currently restricting defensive and attacking options, it is unlikely we will see any changes in Trondheim for those areas. At the same time, we will be hoping for zero mistakes. One error cost Celtic a goal last week. The same kind of blip could cost Celtic a lot more away from home. It is make-or-break for Rosenborg though. They have to win 2-0 or better otherwise it is the Europa League for them. Celtic will not be risking a draw or dare not to attack either. They know they can score over there and they have already conceded an away goal so this will be a very competitive match by both teams. Like I said before last week’s game, as weak as we are for certain positions right now, we have plenty of talent to turn over the Norwegian champions. The character displayed by Celtic after going a goal down in the first leg is a testimony to that. Ironically, due to current personnel issues, Brendan Rodgers could well have a headache on the horizon when players start to become available again. Should Ajer and Hendry acquit themselves in an error free manner at the Lerkendal Stadion, then Boyata, Compper and Simunovic will all be judged against the up-and-coming centre backs. Similarly, the efforts of Gamboa last week has put him in a good place going into the second leg. If he turns in another good performance against his old club, he may find himself in the running for right back this season. Barring injury or suspension, Lustig has been the regular choice under Rodgers and his predecessors. Coincidentally, when the Swede left Rosenborg in January 2012, Gamboa was later acquired as his long-term replacement. As well as them both being ex-Rosenborg players, now vying for the same position at Celtic, they are both out of contract at the end of the season as well. It will be interesting to see if either gets a new deal. They are in the same company as six other first team players though. The likelihood of all eight of them extending their current deals is slim and I would say the services half will be retained beyond next summer. So that means players running their contracts down, securing new deals or being shipped out this summer. Broony and Forrest are a cert to get new contracts, but the rest I am not so sure about. De Vries will probably see out his contract unless he gets an offer elsewhere. Christie and Allan have spent more time on loan than in the first team and Rodgers has made no guarantees they will get a chance this season so I can see one of them staying at the very most. Lustig and Gamboa I have already covered – age may play a factor in that decision. The remaining question mark is over Boyata. The World Cup has put him in a very strong position. If there is any interest out with Celtic Park then he is in a good place to negotiate a better deal than he is currently on. What will be interesting to find out is whether Celtic want to cash in on that now or make him a top earner at the club because he won’t stay for buttons. There is no doubt that Boyata did well in Russia, but I am still on the fence about his overall ability. If Celtic can get £7M for Armstrong in the final year of his contract, what can they get for Boyata in the final year of his? Personally, I’d take the money if it was anywhere near that. Equally, he will have benefited hugely from the World Cup experience and that might just be worth utilising. Either way, we can’t lose. 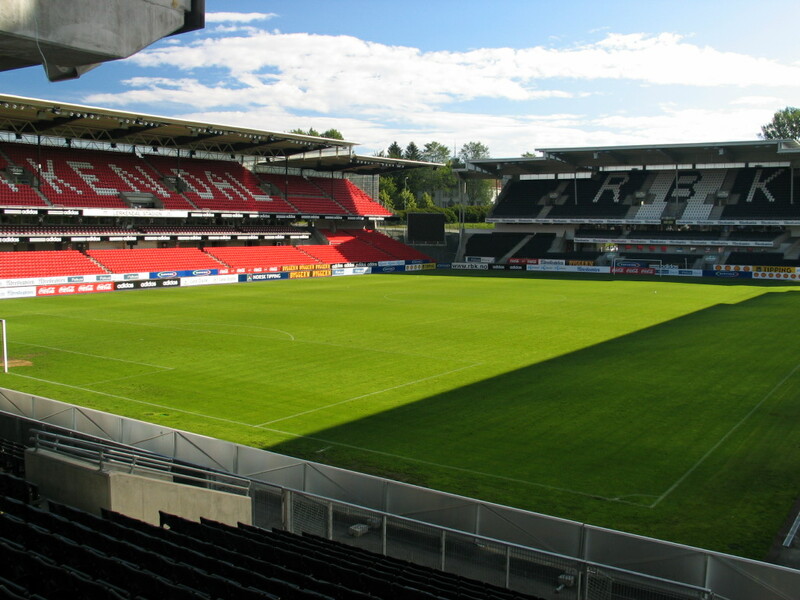 If Celtic progress in Norway, there are still two more rounds to navigate. Based on the current predicament of certain players, do we still need to strengthen? Absolutely, but so far we haven’t been overly active this summer. We don’t need a flurry of players either because our squad is fairly strong. There is no getting away from the fact that there are positions with questions marks over them though. Defence is that one area which is of concern. With the exception of Tierney, the young guys we have at the back are largely work in progress. Of the players who are considered senior, we are far from certain they will be here for the whole season or if they are indeed the answer (or the problem) to our defensive problems. At the same time, I get the impression our a squad represents a chess board. If we were just to get shot of those players who have no future or want to move on then we would know what places to fill. And that is just it. We don’t appear to know what is happening. If Boyata goes south or abroad we need to fill those shoes. Simunovic is in a similar situation and fast becoming a fall guy. Compper I don’t even want to talk about. Until one or more of those players departs, I don’t see Celtic signing another centre half. At right back I don’t see us signing anyone either. Gamboa or Lustig might get a new a new contract with Ralston as the understudy or we’ll bring in someone totally new in January or the end of the season, but not now. Tierney could do with some cover on the left because he is doing it all himself right now. Miller is not the answer in my opinion and asking someone to play out of position in KT’s absence is far from ideal especially if you have European aspirations. Our midfield is well equipped and our forward line is looking very strong when all fit. An understudy in that department wouldn’t go a miss though. On the right wing we have James Forrest, but if he was to get injured we’d lose his form and the goals and assists that come with him. His only cover would be a fit Jonny Hayes who is currently on his way back from injury. From what I can see we won’t be making any more signings unless players move on or we advance in Europe. And in Norway tomorrow night, we will need to progress first. Not what we all want to hear, but that is the reality of things right now. For now, it’s all about progress.